Lovin this image photographed by Jason Reekie & styled by Janice Luck - really looking forward to seeing more of their work!! 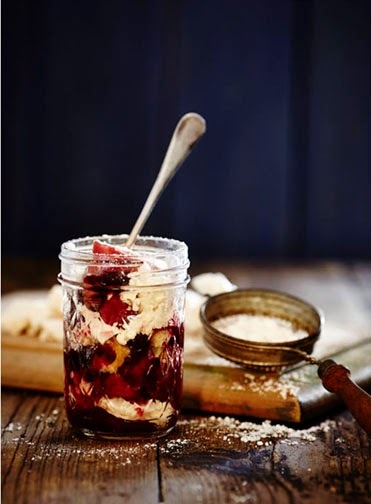 This Rhubarb & Cream Desert looks amazing and its inspired me to serve desert in Ball Mason Quilted jam jars from now on!! !